It has been an amazing last few years for Monster Hunter fans. We’ve been treated with many of the recent releases of the series, though a few still never arrived in the states. For that, I am beyond grateful for the hard work of the Capcom localization team. They have worked hard to keep the titles coming to the western market. My own collector’s edition is in the mail and heading my way. I should be receiving it by tomorrow. However, I might be missing one part when I do receive it. I also have a Majora’s Mask 3DS on pre-order. However, I have not received notice that it has been shipped yet. So, I might need to wait as far as that is concerned. Unfortunately, past the 3DS arrival issues, I cannot say for certain that I will be able to dedicate as much time to the western release as I did for the JPN release. I am currently well entrenched in my studies of Japanese. So, I’m determined to improve with my usage of the langauge as well as knowledge in things like Kanji. As much as I love Monster Hunter, my studies will come first. So, to those that are likely to get into the game before I do, I know that you who are already fans will love this game. It has some great features that have made me spend hours on it already over the past year and a half. There may be bumps that you will encounter, but the rewards are well worth it. Gore Magala is one of the greatest monsters that I have come across in the series, so I do hope that he acquires many fans. Also, Rajang is broken. Freaking Monkey. Finally, Narga is missed, but the rest of the line-up make up for the lack of Narga-Kitty. 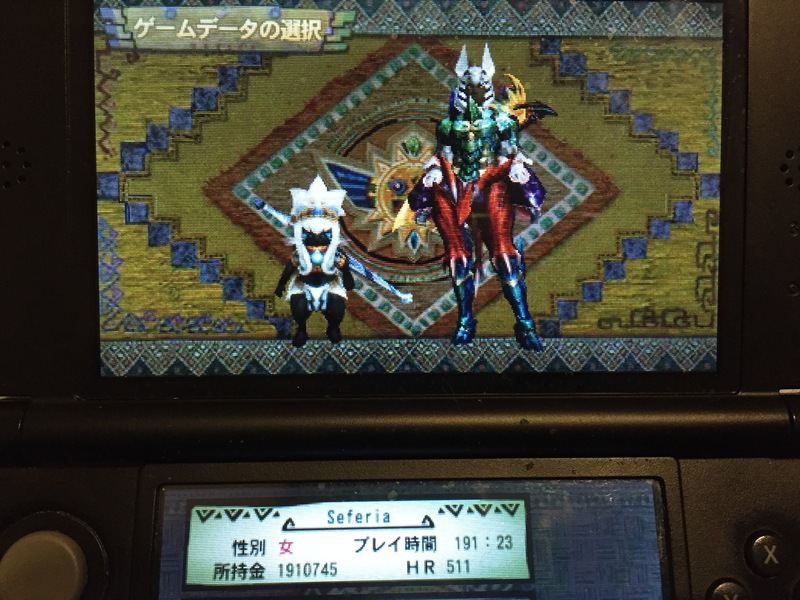 For now, I will mostly retire my JPN Seferia. She has had a strong and long run. However, it has come time to switch territories. Sadly, she and Calypso cannot come with me. However, there will be a new Seferia. There will also come a new Calypso (and perhaps even Sephiroth, if I can find the right cat). Though, their journey will be different, they will still master the arts of dual blades and bombing. See you all on the hunting grounds! Previous PostFor easy access and referenceNext PostCurse you, Hasbro!